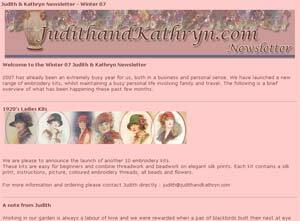 Our Winter Newsletter for 2007 is now out! You can find it through the menu on the left, if you didnt receive it by e-mail make sure you are subscribed to our newsletter list. If you would like to subscribe please follow click here.